We still have a few places left for the upcoming Weed Control evening talk on Weds 13 April at High Forest Community Centre, Sinderhope. As with all events organised by NPS, this is FREE for members and only £3 for non-members but remember that membership fees are only £10 per holding for a year. Joining is as easy as completing the membership form and arranging a bank transfer or sending a cheque! You will need to reserve a place on this in advance so take a look at the calendar entry for this event to see more details. Light refreshments (tea, coffee, biscuits etc) will be available on the night although we would appreciate a voluntary donation in order to help cover the costs. There are a few places left for the upcoming Introduction to the RBST evening talk on Weds 16 March at Cowshill Village Hall. As with all events organised by NPS, this is FREE for members and only £3 for non-members but joining the North Pennines Smallholders is only £10 per holding for a year and is as easy as completing the membership form! Take a look at the calendar entry for this event to see more details and reserve your place as soon as possible. Light refreshments (tea, coffee, biscuits etc) will be available although we would appreciate a nominal £1 donation in order to help cover the costs. This is an illustrated talk by two experts – Cath Shellswell from Plantlife and Ruth Starr-Keddle from North Pennines AONB – about how you can help our vanishing hay meadows and rare plant grasslands. There was a nice mention of the North Pennines Smallholders group in this months Home Farmer magazine as part of a bigger 3 page spread on UK smallholder groups and events. For those who don’t subscribe to Home Farmer you can read more by downloading the relevant pages using the link shown below. Of course, you could subscribe as well because it’s only £40 per year! Under the previous UK legislation governing pesticide use, people born before 31 December 1964 who used an agricultural product on their own or their employer’s land were exempt from the requirement to hold a certificate of competence (this exemption was known as ‘grandfather rights’). New regulations provided for the continuation of that exemption until 25 November 2015. After this date, everyone who uses a professional pesticide product must hold a specified certificate. The new regulations also require that, from 26 November 2015, everyone purchasing a professional pesticide product must ensure the end user holds a specified certificate. Existing certificates of competence (for example, PA2 and PA6) will remain valid under the new legislation. Anyone who already has one of these will need to do nothing new. A list of specified certificates is available by clicking here. 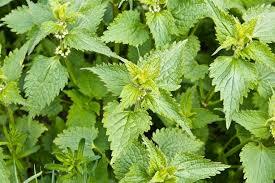 It is a legal requirement to follow the rules outlined in ‘The Plant Protection Products (Sustainable Use) Regulations 2012’. You risk being prosecuted if you do not adhere to the rules. If you do not hold a specified certificate, but require the application of professional pesticides to your land, you may employ a contractor or neighbouring farmer, but it is your responsibility to check they hold an appropriate specified certificate. Further information on complying with the requirements has been produced by the Voluntary Initiative and can be found here. There are still a few places left on the Woodland Management training course which is scheduled for Tues 1 Mar in Allendale. This is a FREE all day event which aims to show how to maximise the potential of existing woodland or the benefits of creating new woodland as well as an overview of the grants and assistance available. For those who’ve already reserved a place, don’t forget the weatherproof clothing and sturdy boots/wellies! This might suit someone with an interest in supporting rare breeds and looking for a little part-time work. Do you like going to Agricultural shows & talking to people? You need to be a bright, enthusiastic and self-motivated individual, with an interest in farm animals, conservation and the countryside. 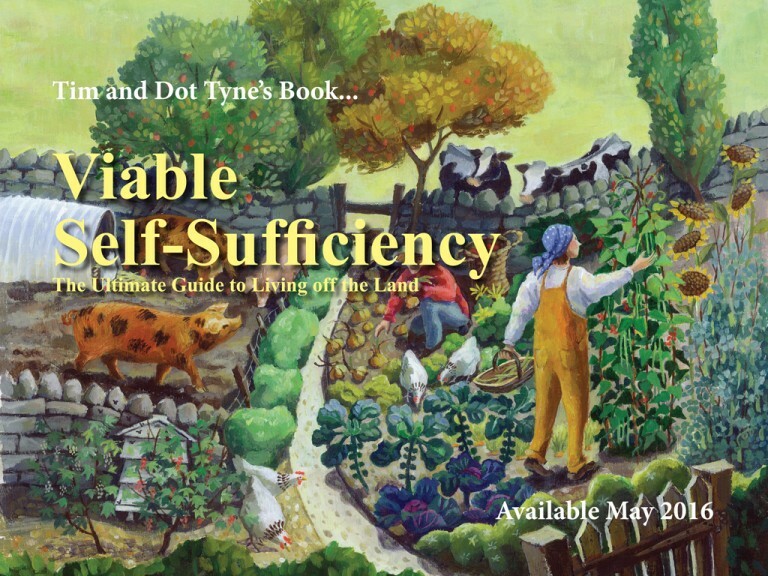 From the publishers of Home Farmer magazine comes a new book called “Viable Self-Sufficiency – The Ultimate Guide to Living off the Land” which has been written by committed long-time smallholders, Tim and Dot Tyne. This is the most comprehensive guide to living off the land since John Seymour’s seminal book “The Complete Book of Self-Sufficiency” which was published back in 1976. This is not from a massive publishing house and this is not just another mass produced book to be sold as cheap as chips via discount outlets or bookshop chains. It is a high quality, full colour, thoroughly researched, substantial book which will have a relatively short initial print run of just 4000 copies. It is also being printed in the UK, by one of the very last remaining printers of hardback, colour books left in this country. Why publish a book which advocates sustainability and then have it printed half way around the globe and possibly sacrifice another part of our own UK printing industry in the process? You can help them to make this a reality via their KickStarter project and depending on the amount you are willing to donate you can get some fantastic rewards. The more you donate the better the reward from signed copies of the book to Home Farmer magazine subscriptions and much more. At the time of writing this the KickStarter fundraising project is already 60% of the way but that still leaves 40% to go and every little helps so please take a look!